SKU: 8020-8021. Categories: Shop All ThinLine Products, Numnahs - Full English Saddle Pads, Hunter Jumper Tack, Dressage Equipment, Therapeutic Saddle Fitting Pads. 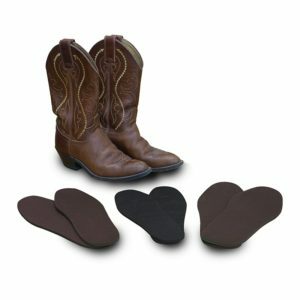 Tag: Orthopedic Therapeutic Saddle Pads. The Contender II is a joint venture between ThinLine and Back on Track. Designed to give you the best of the two top products for horses. The most technologically advanced saddle pad available in the world today, the Contender II Back On Track saddle pad creates the perfect amount of warmth, stability, and shock absorption for both horse and rider. A panel of ThinLine Shock absorbing breathable foam is sewn onto the base product. In addition to the best protection for your horse, there is a pocket to place shims for saddle fit adjustment if needed. Why do Top Riders use Back on Track Saddle Pads? Back on Track pads are used by many top riders all over the world and they see remarkable differences in their horses’ movements. They can help accelerate the recovery rate from strenuous exercise. The therapeutic English saddle pads relieve pain and tension in muscles while decreasing inflammation and increasing blood circulation. Helps horses with cold and sore backs keep their back muscles loose and supple. Why do Top Riders use ThinLine? It is the only product endorsed by surgeons, master saddlers & veterinarians. What makes ThinLine so different? It is the dual benefits of extraordinary shock absorption and rider motion reduction that sets ThinLine apart from other saddle pads. By adding the Back on Track Technology we created the best saddle pad. “This therapeutic saddle pad works great! From the very start of my ride, I feel that my horses’ back is very relaxed and more supple with the Back on Track saddle pad. I have also noticed that we are able to go longer in between veterinarian treatments on horses with some known back problems. The horses comfort and soundness is number one for me, that is why Back on Track is the way for my horses and myself. It works!” – Anne Kursinski, 5-time Olympic rider: silver team medal in Seoul and Atlanta. Order Saddle Fitting shims for your pad: Once you place the pad in your cart you will see an item: Add saddle fitting shims to full English show pads. Voila! Machine washable! Wash in cold water preferably in a front loader. If using a machine with an agitator, turn the ThinLine to the inside. Air dry only, without heat or sun. I love my Thinline Back on Track Contender Pad! I think my horse loves it too, he has a supple and through way of going, and I love that it is shimable. I use this pad for show, and my a Thinline Trifecta half pad with a BOT pad for schooling. Thanks for the great products! This pad has made an immense difference in my 3 horse’s way of going and enjoyment in their work. I use it with my mono flap jumping saddle and it keeps the saddle in place over bigger jumps and tight turns. I don’t know how I rode without this before! Q Which shim set works with the contender 2 saddle pad? I like the idea of having the 6 pockets available for shims if needed. I currently have a saddle but no horse. A Thanks for your question! Our saddle fitting shims are designed specifically for each pad. When ordering shims, simply select the Contender II from the drop down list and then the type (front,bridging,rear) and thickness (ThinLine Plus or Ultra ThinLine) you need. The shim pockets are not divided, so that you can place the shims precisely where they are needed. Having a shimmable pad is great when you're riding different horses, giving you the ability to get a good fit for each horse. Q How do you launder the contender 2 saddle pad? A Thanks for your question! This pad is machine washable. Wash in cold water, preferably in a front loader. If using a machine with an agitator, turn the ThinLine to the inside. Air dry only, without heat or sun.